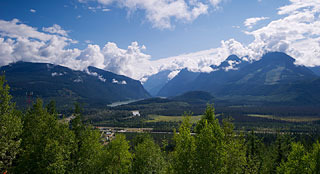 Vast, and undeniably beautiful, the North Thompson Valley is made up of quintessentially Canadian natural features, bound together by the river bearing its same name, and framed first by desert badlands transitioning through rolling fields of alfalfa, then mountains that grow ever taller the further north you travel. Journey south to north through this transitioning landscape, the rolling blacktop shoulders the world’s only inland temperate rainforest, transporting you through rural Canada, or your own wilderness adventure. Set your own pace, but take your time exploring the North Thompson Valley — it’s our way of life out here. Un-crowded country roads, and quiet, small towns lead you to a pristine wilderness and the kinds of adventures most people can only dream of. The geological history of the North Thompson Valley alone is enough to inspire intrepid travellers in search of a natural high. Born of shifting tectonic plates and colliding land masses, then shaped by scouring glaciers and fiery volcanic eruptions, the landscape you see today is rugged, rough and raw — it’s also incredibly beautiful. Four bio-geoclimatic zones mean you can always count on a change in weather! Pack your layers and explore sub-alpine and alpine forests, the rugged splendour of alpine tundra and the world’s only temperate inland rainforest some 600 kilometres (373 miles) from any ocean. 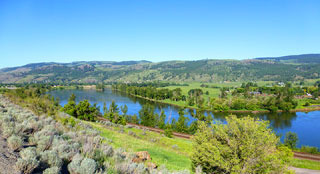 The bucolic badlands sweep along the South Thompson River northwards. 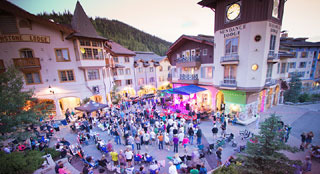 At the southern edge of the North Thompson Valley is Sun Peaks Resort, Canada’s second largest ski resort and a family-friendly year-round recreation destination. 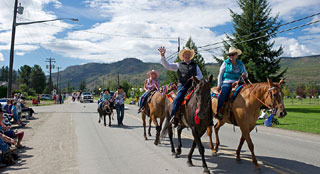 Following North the town of Barriere is a hospitable hamlet rooted in agriculture, with undulating green ranch lands that roll alongside the North Thompson River. 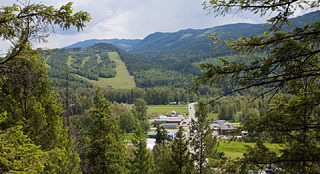 Clearwater and Wells Gray Provincial Park are a gateway to adventure with backcountry terrain begging to be explored. 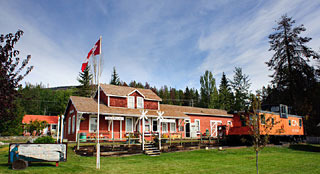 Blue River is the mid-way point from Vancouver, British Columbia to Edmonton, Alberta and a welcome stop on your journey, with its roaming wildlife and high alpine brimming with untouched snow. 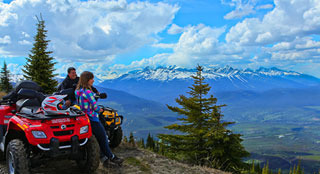 The eastern edge of our landscape sits at Valemount, set in the shadow of Mount Robson — the highest Peak in the Canadian Rockies, where jagged mountain summits enrobe glistening glacier-fed lakes. Make one destination your home base for an active, adventuresome vacation, or take in each one a few days at a time — you’ll have a month’s worth of excitement no matter how long you stay!